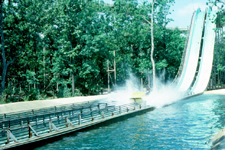 After the challenges of the opening season in 1974, Great Adventure broke the sophomore slump by increasing its ride count by 50% for the 1975 season with the addition of the Fun Fair area. 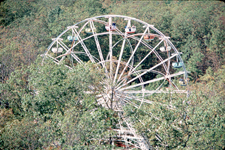 Along with the additional rides came more places to eat and drink, more games, and even more restroom facilities to help address the long lines and complaints from the opening season. 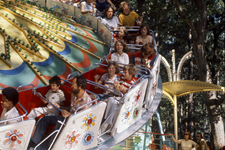 While the physical area of the park was expanded with Fun Fair, Fortune Festival, and the addition of the second flume ride, even the pathways in the existing park were widened where possible and new pathways were added in an attempt to improve the flow of guests through the park and eliminate areas of congestion. 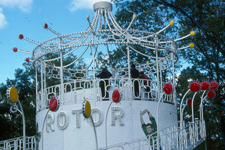 While Warner LeRoy was still the designer and creator, he was losing interest in the park with the frustrations caused by running it as a business, and the park's new investors took control. 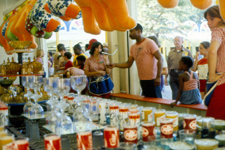 In order to boost revenues, the Fortune Festival area introduced an array of boardwalk style games which produce high profits. 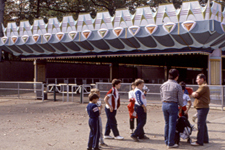 While the new rides of Fun Fair were colorful and added much needed capacity to the park, many were off the shelf portable rides, some even still mounted on trailers. 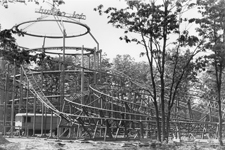 These decisions weren't fitting with the original vision of the park, but were financial necessities that allowed the park to survive. 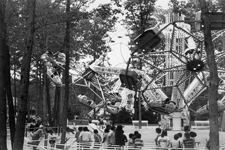 The result - an 83% increase in attendance over 1974.